It is the most efficient and easy to use system available, not batteries required. The system is currently in service with the UK Royal Air Force. The Pneumatic Oxygen Delivery Unit is one of the key components of the Helicopter Pilot and Aircrew Supplementary Oxygen System (HPASOS). The system has been designed specifically for the pilots and aircrew of unpressurised rotary wing aircraft, giving them protection against the effects of hypoxia when flying at altitudes in excess of 10,000ft. The Oronasal Mask Assembly has been designed in conjunction with the POD Unit, again as a key component of the HPASOS system. The mask comes with a fully integrated communications suite allowing voice communications over the existing aircraft network. 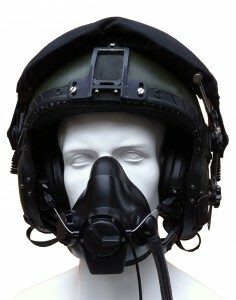 The mask also benefits from a fully adjustable helmet interface which allows the user to quickly and easily drop the mask off the face when the aircraft is flying at an altitude where oxygen is not required, below 10,000ft.